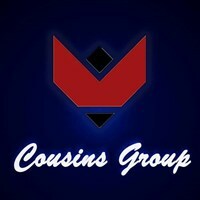 Since being established in 2018 in Great Manchester, now Cousin's Group has been known for an unparalleled commitment to customer satisfaction. It’s this standard of excellence that has provided the impetus for us to grow into the business we are today. We believe that the customer always comes first and that means exceptional products and exceptional services. Get in touch today to learn more about what we have to offer. We are a small team with a shared passion to help people with our services to make it you life easy and save time and money. Looking for a South London removal Van & Man ? You’ve found a new place, confirmed the moving date and time , you need to find a removals firm you can trust to get your stuff moved, on time and professional . We’re based in Mitcham, South West London and Great Manchester we know the city pretty well. Working with specialist young movers is key to a hassle-free, cost-effective move. Before your move, we’ll check out distance between places and calculate the prices and check out any potential sticking points in advance. Things like narrow stairs, awkwardly placed radiators, and permit only parking are best noted in advance. Friendly, fit and professional staff , The one that you would recommend to your family and friends.